Smaller Project 3-3, Bathroom » Roger Perron Inc. This view of the bathroom shows access to the shower and how the tub deck connects to become a seat. To the right in the foreground is a makeup table. 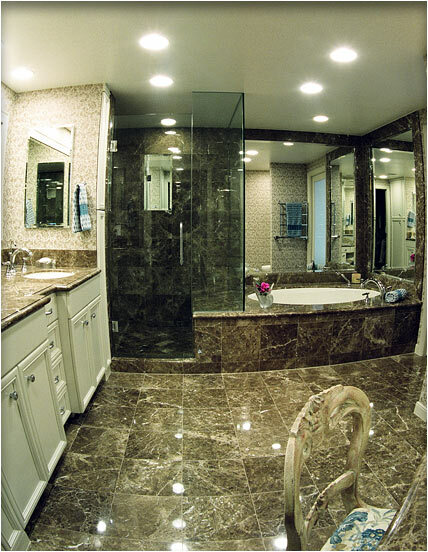 Over the tub is a marble surround with beveled mirror.